Ladies Slip on slipper with decorative flower detail. Sizes 3-8. 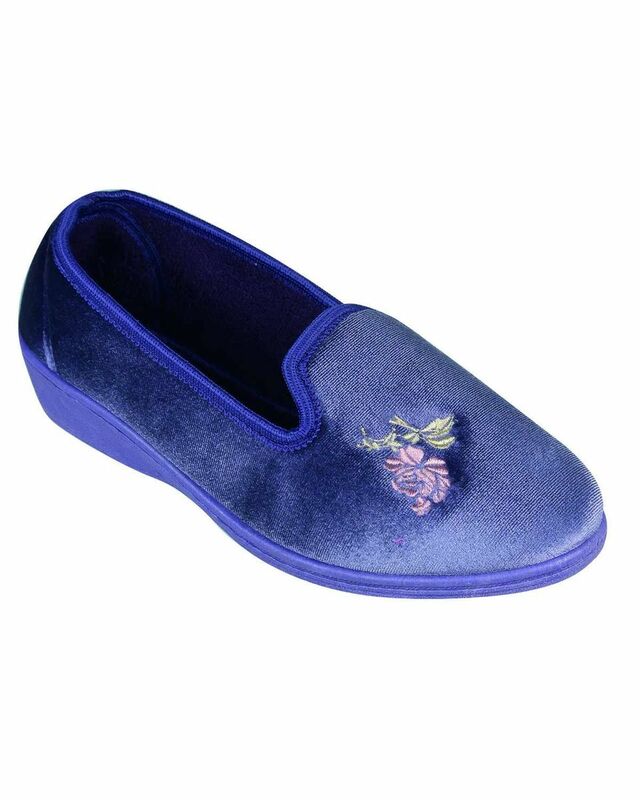 Ladies slip on slipper with decorative flower detail, matching insole with man-made sole.